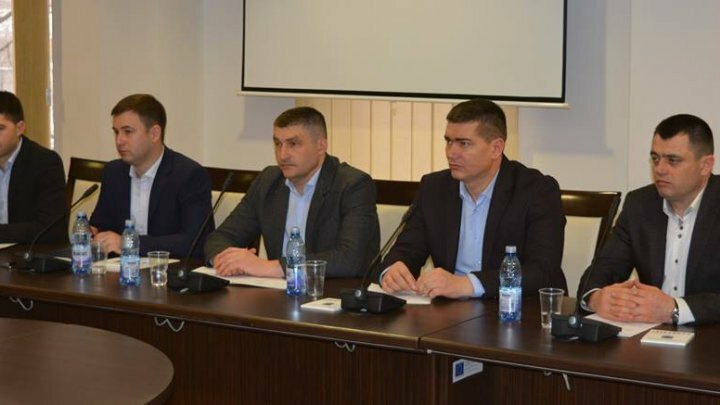 Functioning of anti-corruption hotline and citizens' appeal records was discussed in a meeting between CNA officers and Romanian General Anti-Corruption Directorate (DGA) in Moldovan officers' visit in this country. Officers also carried meetings and discussions on other topics related to activities of specialized subdivisions of the Interior Ministry and the Health Ministry's responsibility as well corruption fighting in medicine field. According to the DGA, the anti-corruption hotline called TelVerde was established in 2005 as a mean of denouncing corruption and preventing corruption in various public domains. Regarding the TelVerde functioning, DGA officials said that the call would be examined by the operators and transmitted to the responsible subdivisions, the prosecutor's office or other institutions, according to their competence, and the anonymous information is classified and retained for recovery in analytical and operative purposes. In addition, all petitions related to violations committed by MAI employees, including the DGA, are submitted for review to DGA's Service of Control - a similar service to the Internal Security Directorate of the CNA. At present, there is a DGA subdivision consisting of 5 - 10 employees in each Romanian county who are responsible for receiving petitions and calls from citizens. According to the DGA employees, a more efficient functioning of the anti-corruption hotline is enabled due to an intelligent Call Center processing software that allows the automated input of caller data, the audio recording and the possibility creating statistics by domains, periods, etc. Corruption fighting was also the topic of the meeting: gifts giving during the service, feedback from healthcare recipients to be sent through SMS or E-mail, ..etc. One of the most effective tools for preventing and combating corruption in the medical system is the "feedback form", a document that is sent to the Ministry of Health after 10 days from the discharge of the patient from the medical institution. If the respondents say they offered a bribe through an additional message, they are suggested to contact the DGA's green line. PUBLIKA mentions that 9339 calls have been received at the national anti-corruption hotline since the creation of the CNA.